Caroline had left earlier in the week and I had been in Los Angeles all week for work. My flight landed early into San Francisco airport, I wasted no time to pack a bag and head south for some hiking. 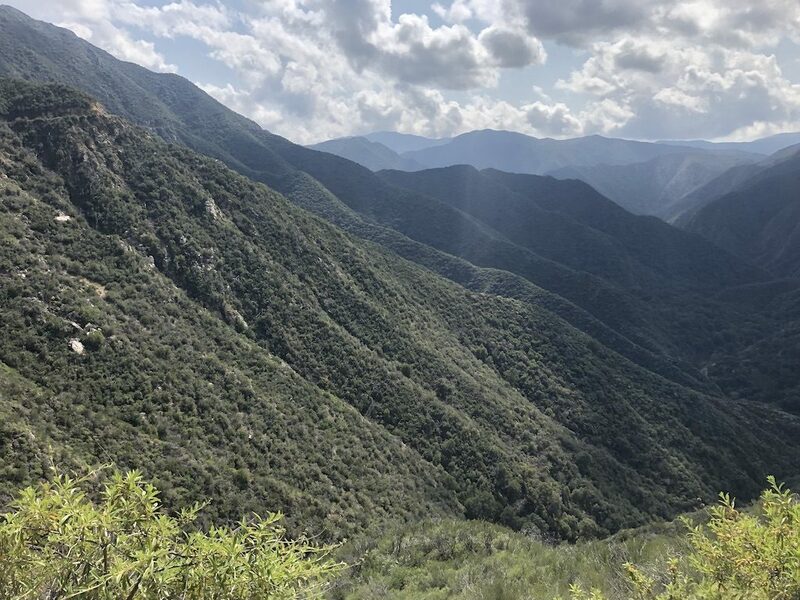 Arroyo Seco was the obvious choice, as it is a very nice campground, has no cell coverage and not far South. It was Spring break, so the campground was a little noisy, but I didn’t care and just slept. The first mission of the day was to see if the Satellite phone worked. The recent made power supply cable was plugged in, the antenna connected, and a small miracle happened, it registered on the network and just worked. I rang Caroline in Europe to be 100% sure. Feeling good that we have found a workable solution here. On Saturday I went for a long long along the river to the rather unremarkable Jackhammer Spring. I really need to work out how to automate putting these trails onto this website. 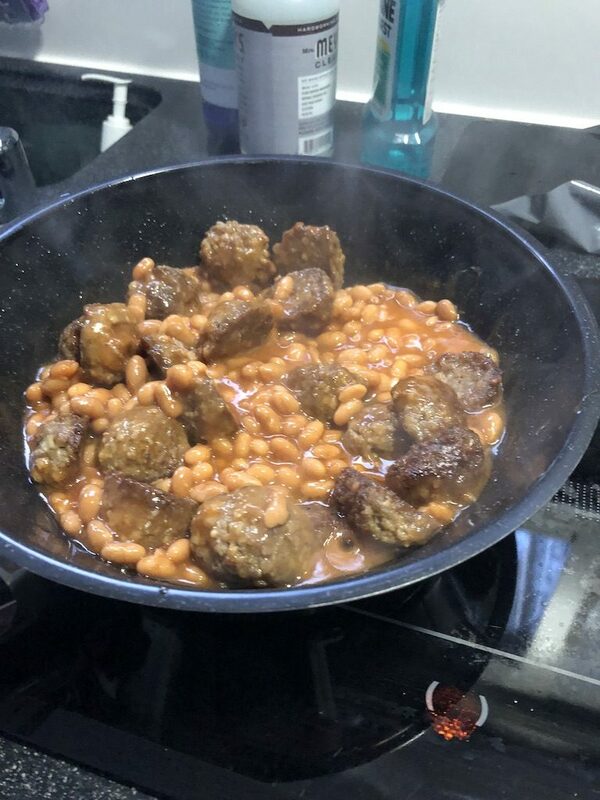 Dinner was classic, meatballs and baked beans. 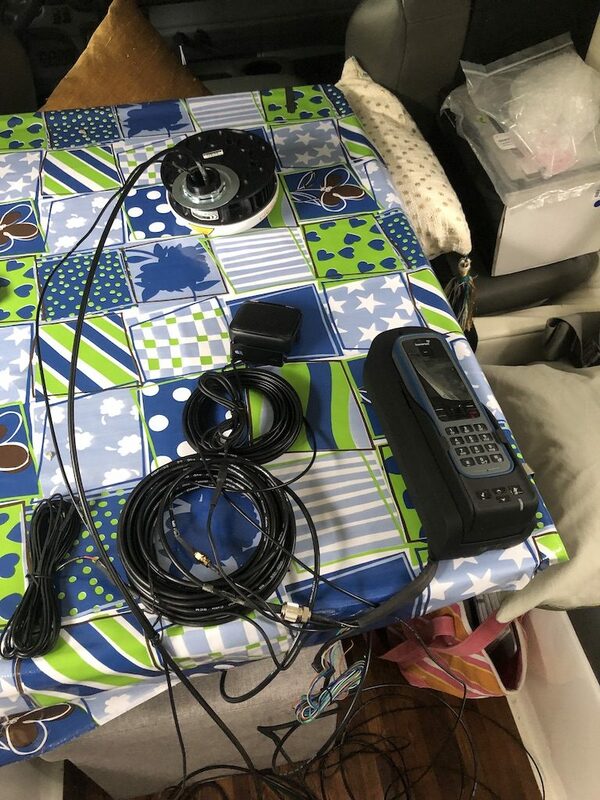 iSatPhone with new hands free dock and satellite antenna. Spent most of the day on the trail by myself. Visited by the occasional cyclist. 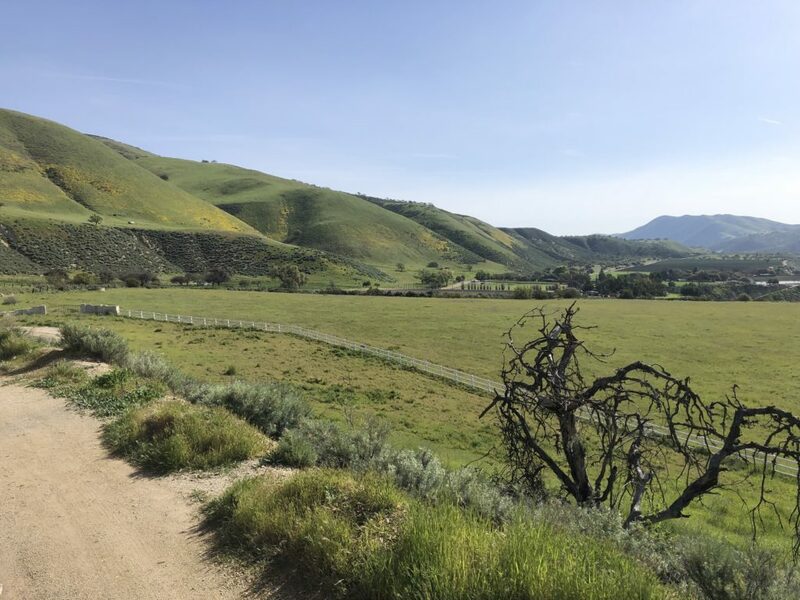 Never seen California so green. The huge winter rains have transformed the place. This photo could be taken in New Zealand. The foot shows where we were.